Turkey expects that the effect on its economy from an ongoing operation in Syria against Kurdish factions will be very limited. The same goes for the impact on the budget, which is strong, Deputy Prime Minister Mehmet Şimşek said, according to Yeni Şafak newspaper. The lira fell 0.3 percent to 3.8179 per dollar at midday in Istanbul. The benchmark BIST-100 share index rose 0.3 percent to 115,531 points. Şimşek was speaking at a signing ceremony that extends the government’s credit guarantee fund by 55 billion liras. 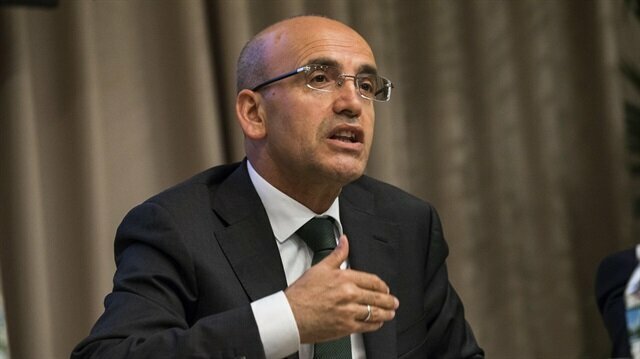 25 billion liras of the funds will be used to guarantee loans that banks award to industrial companies and 15 billion liras will be used to finance exporters, Şimşek said. Some investors have expressed concern that the military operation will worsen already fraught relations with the United States and reduce inflows of foreign money that Turkey needs to finance its widening current account deficit. The incursion also increases the likelihood of terrorist attacks by the PKK, which have in the past reduced much-needed revenues from tourism. 72 savaÅ uÃ§aÄÄ±nÄ±n yoÄun bombardÄ±manÄ±yla baÅlayan Zeytin DalÄ± HarekatÄ±ânda 3. gÃ¼ne girilirken BaÅbakan YardÄ±mcÄ±sÄ± Mehmet ÅimÅek'ten operasyon ile ilgili yatÄ±rÄ±mcÄ±lara yÃ¶nelik aÃ§Ä±klama geldi. BaÅbakan YardÄ±mcÄ±sÄ± ÅimÅek piyasalara verdiÄi mesajÄ±nda, operasyonun ekonomiye etkisinin son derece sÄ±nÄ±rlÄ± olduÄuna dikkat Ã§ekti.